"Like Moe in Splatoon: GIVE US YER CASH!" If there was one thing that Nintendo went gung-ho with during this year’s E3, it was amiibo. Many of the titles shown off have some sort of amiibo function attached to it, and because it can get confusing, we are making a small, handy guide so you know what figure to stock so that you’re ready for that next new release. 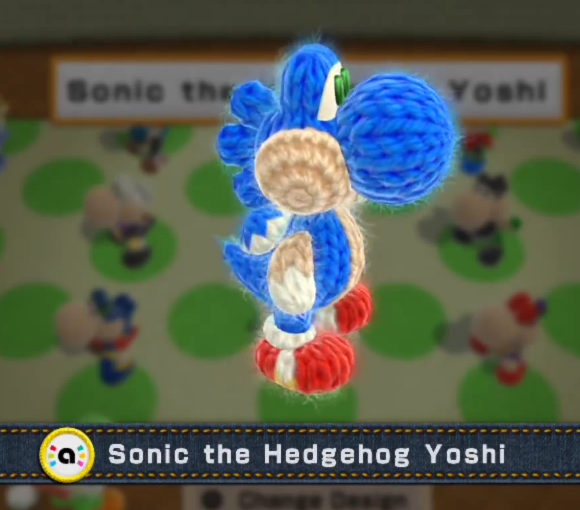 The three yarned Wooly World ones, which unlock a second Yoshi that follows you around. You can interact with them like sucking them up to spit onto enemies. It’s unknown if the amiibo of DLC Smash characters like Roy or Ryu will be compatible since they were created in the tail end, or after, Wooly World’s development, in addition to the Animal Crossing cards and figures. 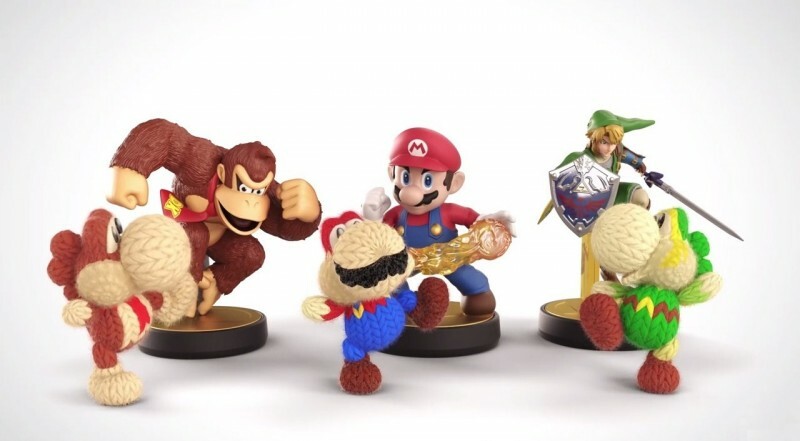 They could be added as DLC for Wooly World later, but it’s all speculation as of now. 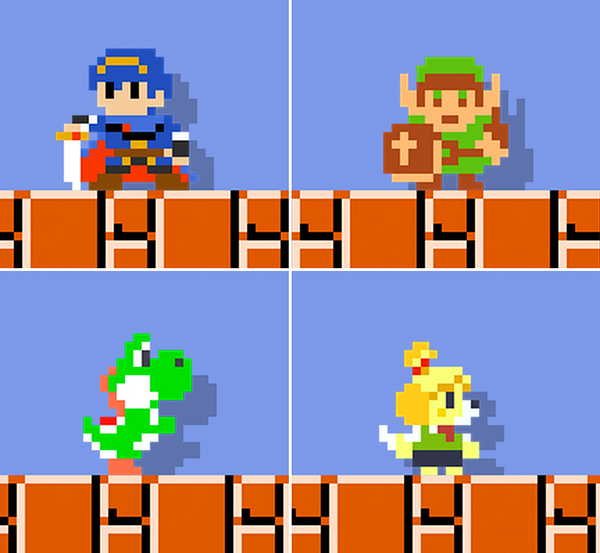 Super Mario Maker is also compatible with a varied amount of figures, as we saw in their E3 presentation. All those transitions between games with characters like Isabelle and Marth weren’t for show, that’s the literal use of them. When scanned, the user can unlock a “Mystery Mushroom” that can be used to turn Mario into that character. This can only be used in the original Super Mario Bros. skin of Super Mario Maker. 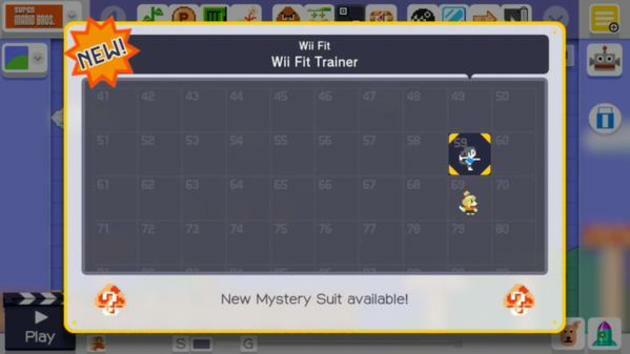 So far, we’ve seen the Mystery Mushroom unlock a Link, Isabelle, Marth, Kirby, Yoshi and Wii Fit Trainer costume, but will be more as seen in the menu below. Also seen is Isabelle’s winter uniform, which makes you wonder if there are multiple forms of characters or if scanning Isabelle unlocks both. 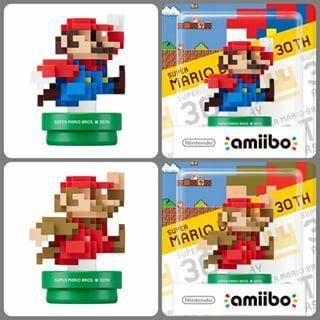 Scanning the 30th Anniversary Mario figure that releases the same day as Super Mario Maker unlocks a Mega Mushroom for Mario to use and smash through obstacles with. 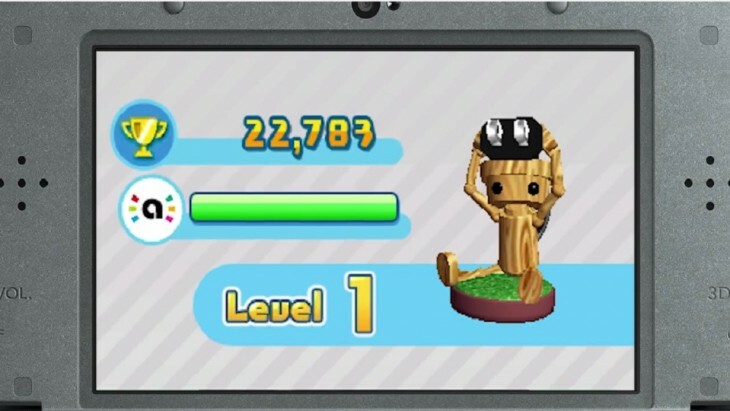 Just in case if you were wondering, only the level’s creator needs the amiibo. Once uploaded on the Nintendo Network, players will have access to everything the creator added when playing, so don’t worry about never seeing them because you don’t own them. Shigeru Miyamoto confirmed that Star Fox Zero will be amiibo compatible, but said that he doesn’t really know what for. This makes us wonder if he hasn’t even thought of it this late into the game’s development. It’s probably going to be something small since he went on record of not doing the same thing as Splatoon, which locked challenges that expanded your single-player experience as well as cool costumes. He believes doing something like that with figures that will probably be hard to find will lessen the overall game for those who can’t hunt them down. This spinoff from Animal Crossing: New Leaf has some of the most extensive use of the tech yet. Nintendo is planning on releases waves of amiibo cards contained in random booster packs that’ll unlock the character’s house to decorate. These particular characters won’t appear in the game unless you scan their card, and Nintendo's site says they'll be hundreds available to scan. Despite releasing in September, we still don’t know the full extent of the game and how much the cards are required. 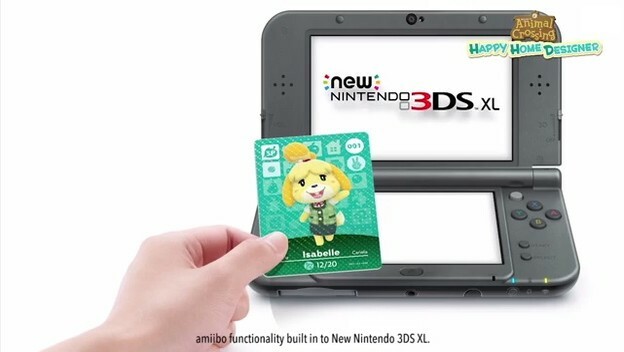 The game comes with one card (assumedly Isabelle since it’s her holding it up), and if you do not have the New Nintendo 3DS, you must purchase the $20 NFC reader that’ll read your cards and broadcast it to your system’s IR port. Needless to say, it’ll be one of the most expensive games out there. 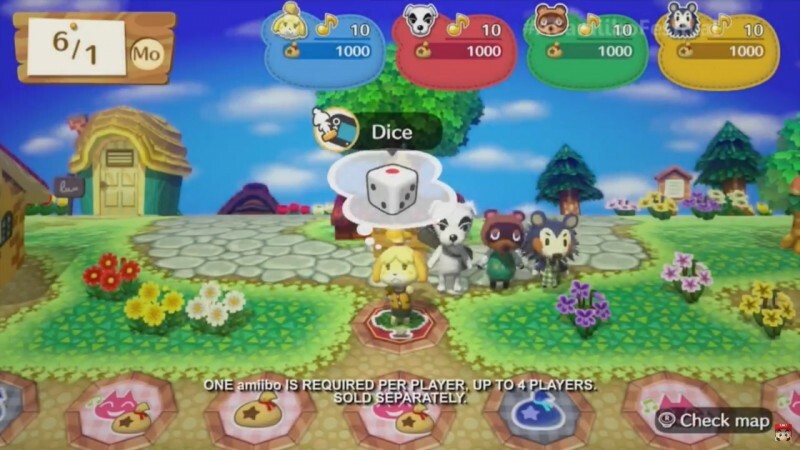 The other Animal Crossing game releasing this fall is a Wii U board game much like Mario Party. Much like the picture says, this game requires Animal Crossing figures to play, as they are your game pieces for the board. There are eight releasing alongside the game: Isabelle, Digby, Tom Nook, K.K. Slider, Mabel, Reese, Cyrus, and Lotte (the new character from Happy Home Designer). There are two ways to get the game itself: either free off the eShop where you must hunt down figures separately to play with, or in a $60 starter kit with a physical copy of the game, Isabelle and Digby’s figures and three of the amiibo cards. 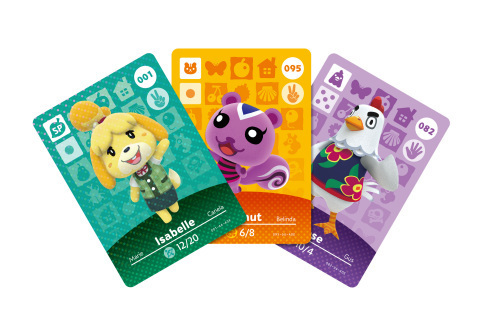 The cards are the same as the HHD ones and can be used in both games, where amiibo Festival uses them for minigame involvement. What that is, we still have no clue. A port of the Wii U game, Legends’ amiibo functionality is exactly the same as the original game’s. You can scan up to five figures a day to unlock stuff like rupees, low level weapons or materials for crafting. If you use an amiibo based off of an in-game character like Link or Zelda, you snag a level three, four or five weapon for that character. 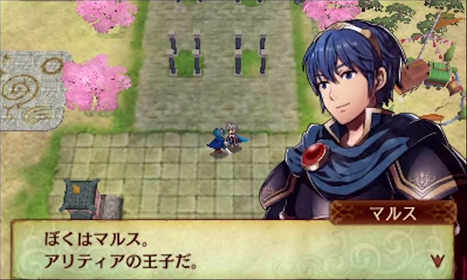 Released in Japan, both versions of Fire Emblem Fates will use the Marth, Ike, Lucina and Robin figures to unlock the characters to fight and (if you win) enroll in your party. They are found in the My Castle mode, where players create a town with the allies and items you gain through the world. Good news, unlike Fire Emblem Awakening, the characters don’t look generic in-game and are faithfully rendered in the FE Fates artstyle. Chibi Robo’s new game is an action title not unlike the older Castlevania games where you play as the cute robot whipping his cord like a… whip. 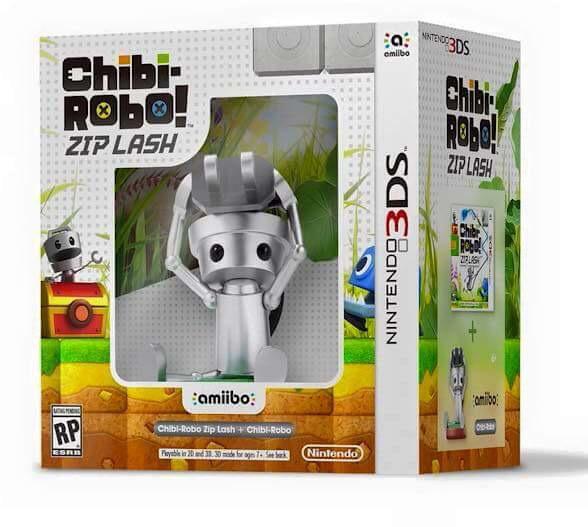 The game will have a regular $30 version and a $50 bundle version with a Chibi Robo amiibo figure that’ll transform it into Super Chibi Robo. The Super form can run faster and snap its whip further. You can unlock more things the more you level up the figure. 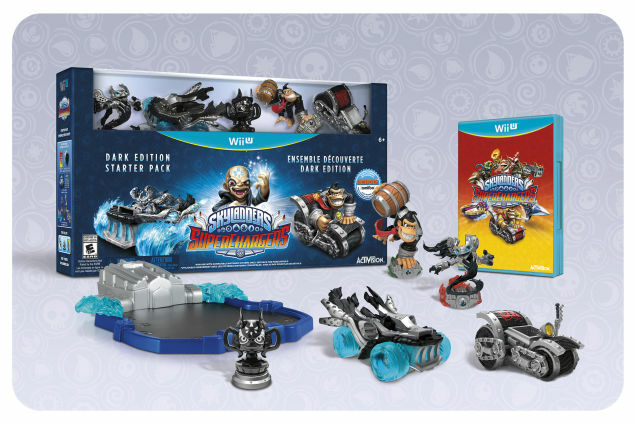 Technically not an amiibo-based game, the game’s starter packs on Wii U, Wii and 3DS contain an exclusive Donkey Kong and Bowser Skylander that can be used as amiibo. I mention this because for amiibo hunters, there’s going to be a bounty for these since they’re behind a $75 ($65 for 3DS) paywall. Even worse for hunters, the game also has a Dark Edition on Wii U and Wii that have the Dark version of DK and Bowser respectfully. So that’s the complete list of games coming out so far with amiibo functionality. They’ll of course be future games and current ones updated with the support. And don’t forget that the Smash line is not even close of being completed with three more waves confirmed alongside the DLC characters in the future. So have fun collecting! I know I won’t!